Gauge is the measurement of the thickness, or diameter, of wire. Originally, the measurement was based on the number of times that steel would be pulled, or drawn, through a set of dies that gradually decreased in diameter. A 9-gauge wire would be pulled through a progression of 9 dies, where 14-gauge wire would be pulled through 14 dies, with each die getting a little smaller in diameter in order to reach the desired thickness. Today, modern tools are used to precisely measure the diameter of the wire to maintain strict gauge standards. It might seem backwards, but for wire fencing, the larger the number, the smaller the wire. A 20-gauge wire, for example, is thinner than a 9-gauge wire. A low-gauged, or thicker, wire is best used for heavy animals that will test a fence’s strength by pressing into the wire. High-gauged wire fence is most effective with small, lightweight animals that test the enclosure on limited areas. What Gauge is Best for My Application? 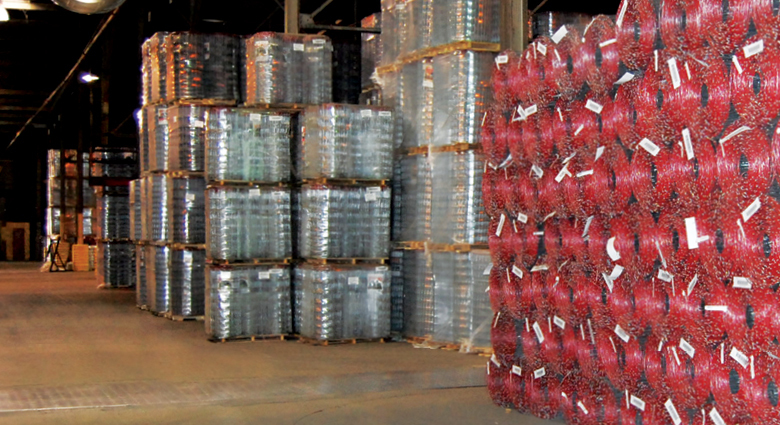 Red Brand offers a broad range of wire thickness, each with unique advantages. Yard, Garden and Kennel is available in 16-gauge wire that is ideal for kennel fencing. The wire is thick enough to keep scratching paws in, and lightweight enough to make installation easier. For larger animals, a thicker wire is the best way to go. Most deer are three times the size of a typical dog, so a wire that is stronger than Yard, Garden and Kennel is essential. Deer & Orchard fence is woven with 14 ½-gauge wires that protect your trees from prodding antlers and inquisitive snouts. On the other hand, an excited bull will test the strength of the fence that he stands behind. To assure that he stays put, a substantial 9-gauge wire might be necessary. But, in most cases, our popular 12 ½-gauge Field Fence will keep your livestock safe and secure. Regardless of what type of animals you are tying to keep in (or out), Red Brand has an ideal fence solution to meet your needs. The broad range of options ensures the proper amount of protection for your property. Large animals with plenty of strength will need a thicker wire to contain them. Lightweight, high-gauge wire will install easily and safely contain smaller animals. For help choosing the proper fence style, check out our convenient Fence Selector. Be sure to consult with your local Red Brand dealer once you are ready to make your purchase. While you’re there, you can confirm the proper fence style for your project. You can also get installation advice and pick up the tools you’ll need to install your fence.